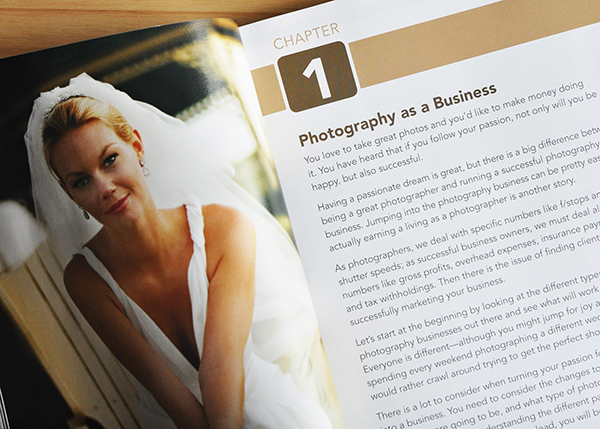 “Photography Business Secrets,” by Lara White is a great resource for any photographer looking to grow their business. With just a few weeks left before the end of the year, I find myself deep in my annual wrap-up ritual. I don’t like carrying stuff over from December into January if I can avoid it. I make sure that shoots are edited, albums and prints are ordered, contracts are signed, gear is cleaned and serviced, and any other loose ends are taken care of. Transitioning from one year to the next isn’t just a matter of getting my “stuff” in order, but it’s also about getting my head in the right place for whatever challenges– photographic, business, or personal– the coming year might have in store for me. I don’t think I’m unique in this regard. I think the end of the year is a good time for everybody to look ahead, setting goals for themselves and charting a course for where their photography business is going to take them after January 1st. I think that this pause to reflect on the current and future health of our businesses is particularly important for those of us in creative fields, because so many of us are simply not hard-wired for business to the same extent as we are for photography. 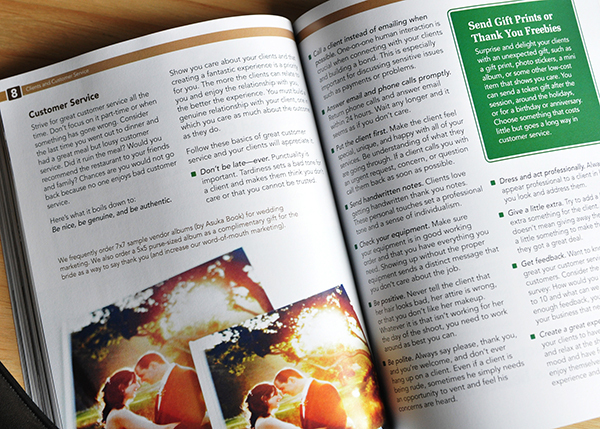 One of the best new tools I’ve found for helping with these tasks is “Photography Business Secrets,” by Lara White. A former wedding photographer, White is a leading expert in the field of photography business education. As founder and operator of PhotoMint, an online business development resource for photographers, her words of wisdom have now been published in more than 70 magazines and professional photography blogs, including right here at Digital Photography School. When you think of your photography business, have you ever figured out how much of it is “photography,” and how much is actually “business?” White has, and the numbers might surprise you. On average, 20% or less of your time is spent on actual photography. And that’s a good week! With numbers like that, it is essential to get a proper handle on the business end of things. After all, the term “starving artist” started somewhere, right? Passion alone isn’t going to cut it. Ready to Give Up Your Day Job? If your photography plans for next year include ditching your 9-to-5, Section 1 of this book is absolutely required reading. In “Moving from a Hobby to a Business,” Lara walks you through three chapters full of the information you need, questions you need to ask, and steps you need to take before you even think about giving your two weeks notice. This is a big decision, with life-changing ramifications– especially if you have a family that enjoys eating and having a roof over their heads. This is the perfect chance to get valuable advice from someone who has been where you are and lived to tell the tale. By giving readers a realistic view of some of the issues that can impact transitioning from a hobby to a career, readers are assured very early on that this book has their best interests at heart. Gaining the training and experience you need, as well as figuring out your market, are just a few of the key factors addressed. In my previous life as lawyer, my biggest complaint was that law school did nothing to prepare me for the actual day-to-day, nuts-and-bolts of practicing law. Becoming a professional photographer poses similar hurdles. Like any other profession, people tend to have a long list of preconceived notions of what it means to be a photographer. Remember that 80/20 time split I mentioned earlier? That’s just one of the things I’m talking about, and it’s why the seven chapters of “Business Fundamentals” make this such a valuable book–regardless of whether you are an emerging, struggling, or succeeding professional. 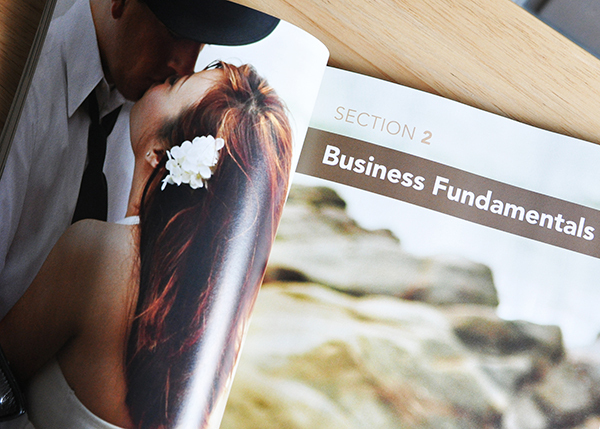 Section 2 takes you through the basics of drafting a business plan, calculating overhead, creating a budget, and more. Every journey starts somewhere, and yours as a professional needs to start with the steps that are designed to keep you both functional AND legal. Once those concerns have been addressed, you can move on to advanced business challenges like branding, pricing & products, customer service, and day-to-day operations. I’m Up and Running. What’s Next? It’s a pretty basic premise that you’re in business to make money. I love being an artist, but just being an artist doesn’t pay for my son’s education or the insurance premiums on the studio equipment. As much as I may hate the prospect of being a “businessman,” if I’m not willing to take on that responsibility, I’m going to fail before I even start. Section 3 answers questions revolving around sales and growth, since the two are inextricably linked. The bottom line is that sales means growth. Tips on getting and increasing sales range from the seemingly obvious (be prompt, creative, and attentive), to running promotions and overcoming shyness. Using these tips to increase your cash flow will help get you over the next hurdle. 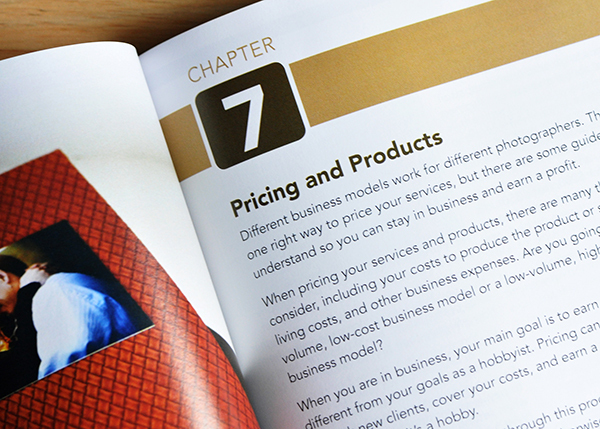 The chapter on “Growing Your Business” guides you through the processes of outsourcing, hiring staff, adding new services, and raising your prices. Here, White offers three case studies, showing how actual photographers have dealt with these issues, clearly demonstrating that these are real-life concerns, and not just theoretical exercises. Sprinters can see the finish line within seconds of leaving the starting blocks. They go all out, giving it everything they’ve got, but they are going to run out of gas pretty quickly. Long-distance runners are in it for the long haul. It may sound like a cliché, but you want to run marathons, not 100-meter sprints. Learning to understand your clients, develop your style, and create marketing strategies isn’t something that comes naturally to most people. Here is your chance to learn those skills without having to reinvent the wheel. A lot of photography books come across my desk. The best among them speak to a broad audience, and this is definitely one of them. It is entirely possible that not every aspect of this book will apply to you or your photography business, but if you find even just a few lessons here that increase your business stability– and therefore your profitability– it will be well worth the $20.00 investment. 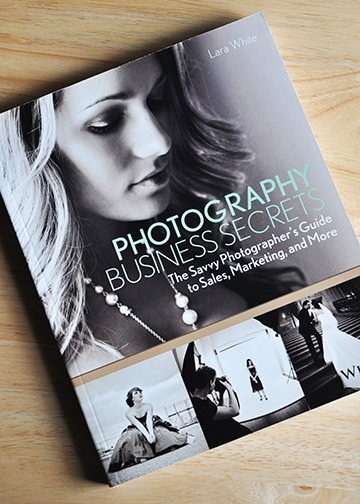 “Photography Business Secrets: The Savvy Photographer’s Guide to Sales, Marketing, and More” is available at Amazon.com. The post “Photography Business Secrets” – A Review by Jeff Guyer appeared first on Digital Photography School. I’ve watched a few of this guy’s videos and I have to say they’re quite funny. If you can’t laugh at yourself, who can you laugh at? This video is by DigitalRev TV, hosted by, as he puts it in his YouTube profile, “an asian dude with British accent”. He covers 10 tongue in cheek signs that you might be a photo geek if . . . So, are you? I’m pretty sure I am but I’m usually the last one to bring a big camera to social events, or any camera at all. So maybe I’m a recovering one? There is hope! Have any other signs you’d add to this list? Come clean, are you a Photo Geek too? It’s okay, you’re among friends here. The post 10 Signs you Might be a Photo Geek by Darlene Hildebrandt appeared first on Digital Photography School. This revised edition of ‘Digital Exposure Handbook’ could well be the only book you’ll ever need in your digital photography adventures. It begins as a guide to understanding camera settings and the basics of exposure, then moves on to putting this info into practice in a variety of situations. It teaches you how to cope with the quality, quantity and contrast of natural and artificial light, how to effectively use on-camera and external flash illumination, how to apply polarising and ND digital filters and concludes by teaching you how to enhance exposures in the digital darkroom. Many enthusiasts buy advanced digital cameras, such as DSLRs, with little more knowhow than they had with their earlier cameras, most likely of the compact point-and-shoot variety. And the first thing that brings them unstuck is the matter of how to set the appropriate and/or correct exposure. This book will put you on the straight and narrow. Basically, exposure to a digital camera’s sensor is a combination of the length of time and the level of illumination impinging on the camera’s sensor. This depends on three settings: shutter speed, lens aperture and ISO setting. There are many tricks of the trade in the book’s pages: one is that by saving in RAW and exposing to the right of the histogram will lead to the image containing the majority of tonal values. 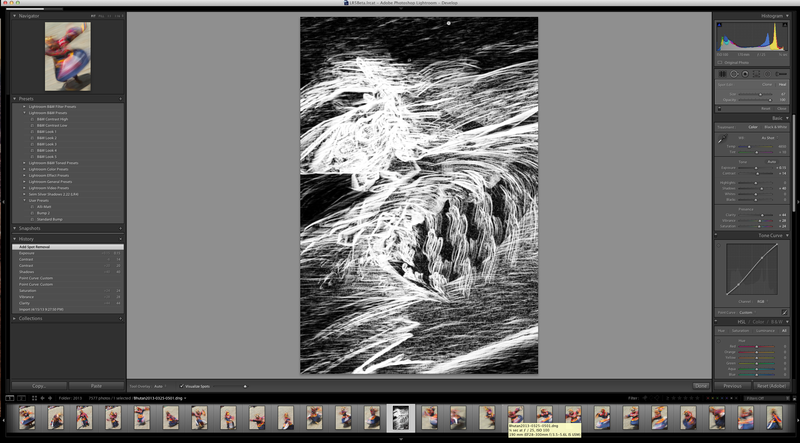 The downloaded image will look too bright and washed out but final processing will leave the image looking correct. High and low key images are discussed and the advice given that these types of images are best served by adjustment of the original exposure and not leaving the final rendering to software tweaking. Also discussed: ISO sensitivity; understanding f stops; depth of field; hyperfocal distance; the use of shutter speeds when rendering motion; avoiding camera shake, how to blurr and how to freeze action; second guessing metering systems and how to adjust exposure compensation. I reached about a third of the book’s length and slowly became aware that it was far more than a basic guide to exposure and more a general primer to the ins and outs of digital photography, with chapters on viewfinders, file formats, composition, dealing with landscapes, architecture, wildlife, people, still life, abstracts and patterns, close ups,. Then there follows detailed help in shooting subjects in ambient light, silhouettes, white balance, using reflectors, flash, filters, calibrating monitors, printing and the overall role of the digital darkroom. While it is obvious from the latter two paragraphs that the book wanders off topic, it also results in it becoming more than just a primer on exposure. As I’ve said, it could also be the only book you’ll ever need for digital photography! Plenty of useful pictures. Perhaps some may find the 7 point type a little small! ISBN 978 1 90770 895 4. 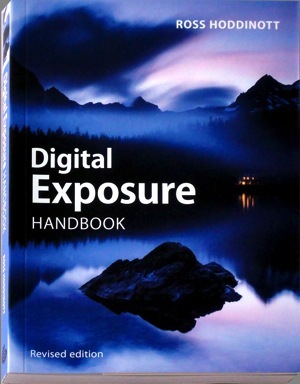 Price: Get a price on the Digital Exposure Handbook at Amazon (currently 29% off). The post Digital Exposure Handbook: Book Review by Barrie Smith appeared first on Digital Photography School. Here at dPS we are all about helping people of all experience levels to improve their photography. This week we’re excited to see our friends at CreativeLIVE putting on a free online event that will help you do just that – it is called Photo Week and we think you’ll really love what is on offer. Starting today and over the next 6 days CreativeLIVE have 50 amazing photographers coming into their studios to run full days of live workshop training on many many aspects of photography. Wedding and Family – Explore the art — and business — of capturing life’s most important moments. Portrait and Commercial – Learn how to delight commercial and editorial clients with these 20 workshops. The quality of trainers and training will be amazing – I hardly know where to begin with the lineup they’ve got. 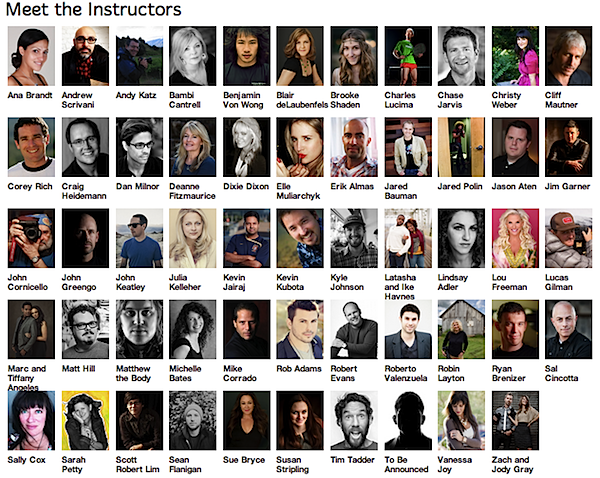 Here’s a quick screen shot of the instructors! The best thing about Photo Week is it is all shown on the CreativeLIVE site for free throughout the week. You can pay to get recordings if you can’t make all of the sessions you want to see or would like to play them back over and over again – but if there’s just a few sessions you want you can tune in when they are on and grab them completely for free. See the full 6 day schedule and RSVP for Photoweek here. This is a sumptuous book in a number of departments: it’s large, beautifully printed and full of useful, easily navigated information. So why the word ‘digital’ in the book’s title? An initial step is to select a suitable shooting space. It should ideally be a big space, one that includes an office, shooting area, storage for props etc, conference area, makeup room and maybe a kitchen. However, in an effort to describe how little you really need, the author describes his own first studio: a room 250 square feet in area, containing his own twin bed, a dresser, small nightstand … with the remaining 225 square feet dedicated to the studio! Next, you should assemble the necessary tools to make the space work: timber and the necessary power and hand tools; some form of canned compressed air or even a compressor and more. This is followed by three simple building projects: building a simple set flat; a diffusion screen; a light table. The important subject of lighting gets serious attention, with tips on how to assemble and use a continuous light array, electronic flash, reflectors, barn doors and snoots, hair lights, scrims, a lighting umbrella etc. The variations in continuous and flash light are explained thoroughly and examples given as to which type suits what subjects. To give an idea of the depth of detail found in the book, just go to pages 150 and 151 on clamps but not just ordinary clamps but ‘super clamps’! These can do so many more things on a still life shoot than merely position a light as they come in handy to build backgrounds etc. More follows on soft and hard lighting, the colour of light sources, how to vary a lamp’s colour balance and filtration plus a useful primer on working with fluoro lighting and how to mix it with flash. Fluoros may be 20-30 per cent green in hue so you may filter the flash output with green gels and then add a magenta filter to the camera lens to bring everything back to a daylight balance. A superb eight page section takes you step-by-step through the shoot of an expensive Cartier watch: how to pose it, light it, position fill lamps. And then there is the fundamental advice never to perform post editing on the original digital file: duplicate! And only work on a copy. This book will be invaluable to the photographer who wants to move into the studio. Big time! ISBN: 978 1 4547 03273 3. 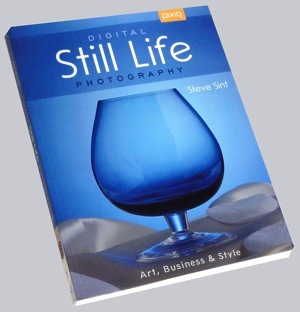 Price: Get a price on Digital Still Life Photography at Amazon (currently 50% off). 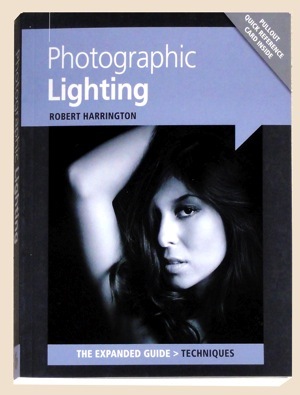 If you’re looking for a book that takes you through the mysteries of natural light, shadows and highlights … this is not the one. And not a moment too soon for many people. Let’s face it, flash is one of the most misunderstood and misused technologies in photography. Bar none! And then again, you wouldn’t put a raw amateur into a situation where he or she has access to a battery of studio lamps. Even more chaos. The help begins in the first chapter by spelling out the basics of flash: Guide numbers; on camera TTL; the inverse square law explained; reading a histogram; white balance; the RAW format explained; using on-flash colour gels. And we’ve only touched on the basics. Although the book is relatively small, I was surprised at the depth of info passed on within its pages. By the time we reach the second chapter we begin to learn how an on-camera flash is set up, power output, battery needs, operational modes, use of diffusion and bounce operation, shutter sync etc. Matters get even more serious when author Harrington explains ‘Getting the flash off your camera is one of the best things you can do to advance your photographic skills.’ Hear, hear! He goes on to describe the various accessories such as boom arms, flash umbrellas etc. One very useful section recommends using a dummy styrofoam head (purchasable from art supply stores) to run test sessions on how to light a portrait. Actual off-camera flash shooting situations are discussed and mention is made of some interesting devices which may help: such as Radio Poppers and Pocket wizards that can fire your flash from a distance with no need to use a connecting PC cord. The degree of detail in the book is admirable and, IMHO, would take the photographer up a notch or two in skills level. With each chapter there are multiple illustrations to support the text of sufficient size and quality that you quickly see what the info is all about. And then, right in the middle of the book is the sage advice that ‘Film is not dead.’ This is supported by the advice to play around with fun film cameras like the Holga and its ilk. Creativity is foremost in the book’s pages, with ideas on how to extract the utmost, even when flying with one engine, or even one flash and one reflector. A pair of pop out hint cards at the back of the book suggest the maximum shooting range, f stop, shutter speed and ISO setting with varying flash Guide Numbers. All in all, a very useful, pocketable guide book. ISBN: 978 1 90770 875 6. Price: Get a price on Photographic Lighting at Amazon (currently 23% off). In my experience, personal printing is a declining art. Walk through any retail photo dept and you’ll see hordes of people sitting at digital print stations pumping out bundles of 6×4 inch prints from their precious memory sticks and CDs. Many of these keen printers will be women, turning happy snap family digi shots into photo records, destined for albums. The Photographic Digital Printing book will be of no use to them… after all, those auto digi printers do a fine job! However, it’s the real, rusted on photographers who want quite a bit more from their printing efforts. Things have sure changed since then: the range of printer types has exploded for one thing. The range of media has similarly expanded, as has the ‘ink’ used. Ink? Well, for starters there are colour laser printers at affordable prices. Possibly, the only brake on laser printers moving into photo printing further is their inability to use coated papers due to the laser’s heat. Dye sublimation printers are another type that have positive aspects but, again, fall foul of a limited range of papers and size limits. Inkjet printers are ubiquitous and are able to produce prints at relatively low cost onto an amazing range of papers and surfaces. Inkjet printers are divided into two subsets: dye-based and pigmented. The book goes into considerable detail on each type, with descriptions about how ink is placed onto paper, the technology involved and their comparative benefits and disadvantages. This information should be of considerable benefit to new buyers tossing up on the pluses and minuses of each. Other topics follow: computer to printer communication; printer makers; the various media you can print to. In this area, the range is truly amazing: paper in a wide variety of surfaces, weights and types. Then there is canvas media, transparent film and other surfaces. On the topic of paper alone, the book spends 20 pages delving into the fibres used, weight, opacity, sizes, surfaces, finish, brightness and texture. Would you like to use Baryta paper, water coloured, calendared or resin coated paper? Perhaps your printing needs will be answered by using artisan papers made by such companies as Hahnemüle or Canson or St Cuthbert’s Mill? If you have reached around page 50 in the book you will need to make a commitment to take the whole business seriously, commit yourself to the whole technology — or simply head back to your local photo print shop! It’s a serious game! Strapped in? With David Taylor at the helm, let’s explore more topics: colour and calibration; colour channels; colour management; profiling; image preparation; bit depth; using JPEG or RAW files; understanding histograms. There is much information about the role of Photoshop in print making. A great deal of this information will cross over and be of help in your original image capture. After all, it’s difficult to print an incorrectly exposed or post processed image. So the book moves into detailed descriptions on how to work with curves, layers, sharpening, etc. In the closing chapters of the book we finally get to make a print! And even then the info keeps rolling! How to store a print. How to mount a print. Book binding. Exhibiting. Black and white printing. And troubleshooting. For me, the big surprise is that there is so much information in such a small book and information which is camera and printer non-specific — unlike some other publications which are dedicated to brand name printers. An excellent book on the subject. ISBN: 978 1 90770 874 9. 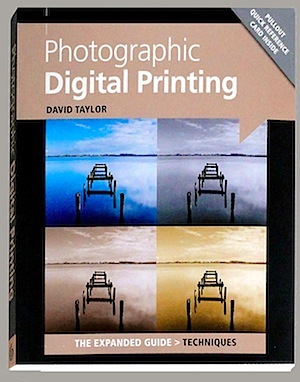 Price: Get a price on Digital Printing (The Expanded Guides: Techniques) by (David Taylor) at Amazon (currently 24% off). 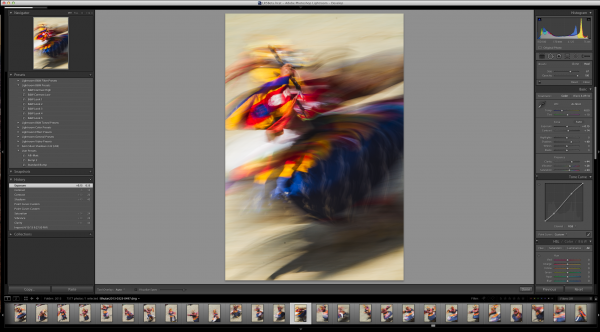 Adobe announced the availability of Lightroom 5 Beta at Adobe Labs today and by all means, go grab a free copy and play. I’ve been using Lightroom since version 1 and have been impressed with every upgrading to the program, gladly plopping down my money for a new version as I have found the enhancements in subsequent revisions well worth the funds. 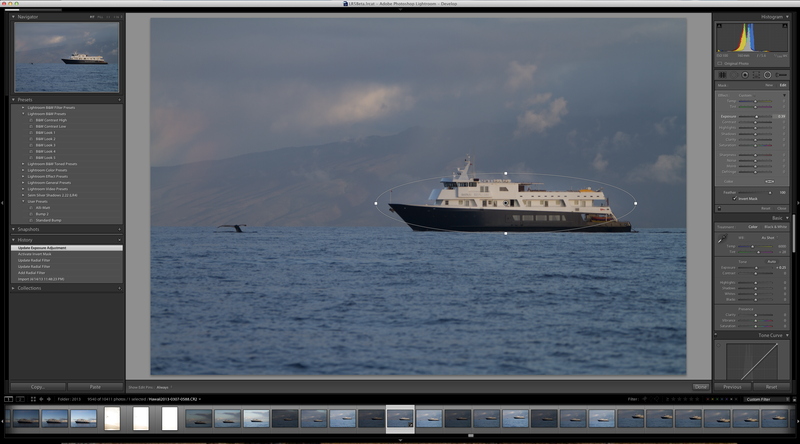 And Lightroom 5 seems to be on the same track, based on my findings while playing with the beta this last week. A Smart Preview feature which mobile photographers will love as it creates a smaller, editable version of their monstrously sized RAW image that is easily portable on a laptop and can be synced when the originals, possibly stored on an external drive or NAS back at home, become available. Radial Gradient which allows for selecting oval or circular shaped areas for specific effects. Advanced Healing Brush. This one, I like a lot and it is very helpful. Now your “Spot Removal Tool” can be used as a brush to wipe out items that are not in the shape of a circle. This helps a lot and means I spend even less time in Photoshop CS6. That’s the obvious stuff that Abode packs into their press kit and you probably have seen those items demonstrated on other sites. 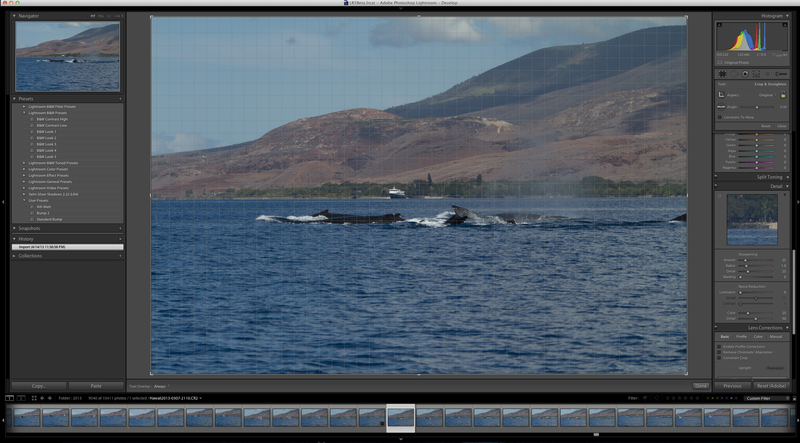 What I want to show you are three things I found to be helpful in little, but repetitive ways for how I use Lightroom. Thank you! I’ve been wanting this feature for the longest time to save time. But it’s not quite right. Invert Mask is currently only available with the new Radial Gradient feature. See it at the right? It works well and I’d like to see if appear in the Gradient Tool (especially when creating a new gradient…it would be great to great one just the opposite of the one I am using at the moment) and in the Adjustment Brush. Here’s a simple rundown of how the tool works. Starting with this image of one of my client’s boats, the Un-Cruise Adventures Safari Explorer off the shore of Maui, Hawaii, I want to see which direction works best: highlight the boat and darken the surrounding seas or slightly darken the boat and bring up the seas, in order to add contrast to the main subject. I select the new Radial Gradient tool and draw an oval over the boat (Dear Adobe, please make this tool work like the Ellipse Tool in Photoshop for consistency. Specifically, please allow me to grab a “corner” of the ellipse and drag it down instead of starting with the middle of the ellipse. Consistency would really help. Thanks.). 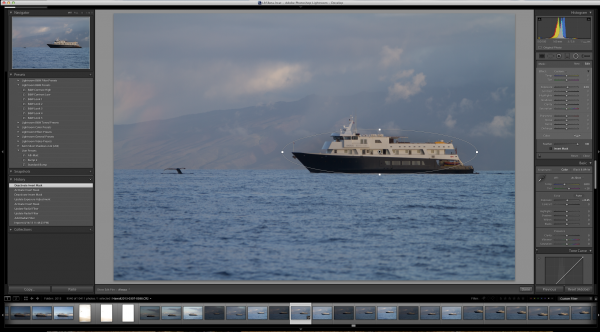 Because I have chosen only to increase the exposure by .39, Lightroom masked the boat and increased the exposure for the rest of the image. 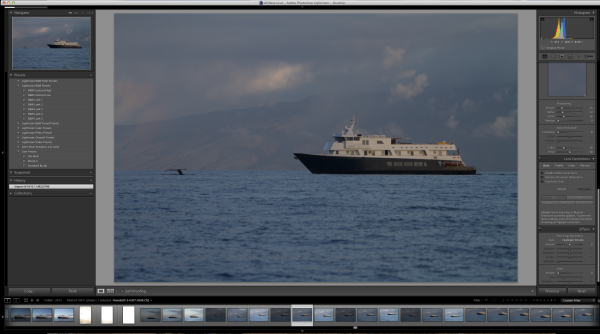 But if I want to swap that and mask the entire picture except for the boat, it’s just a simple click of the “Invert Mask” check box. Subtle, but useful to me. 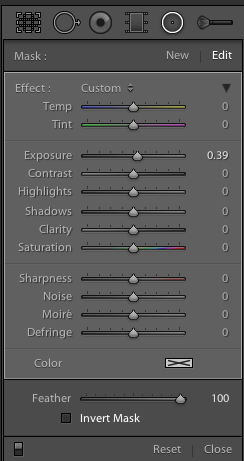 Now please, Adobe, add that ability to the Gradient Tool and to the Adjustment Brush especially. I’d like to think my sensor was perfectly clean before leading a recent tour to Bhutan. As a matter of fact, it was extremely clean before I left. But, as life goes, things don’t stay clean. Take this image of a masked dancer at the Paro Tsechu. I wanted some blur (obviously) and used a small aperture to achieve a slow shutter speed. In this case, f/25 and 1/6th of a second. Closing down that aperture makes dust on the sensor more obvious, but this image has a lot going on making it hard to find all the dust. 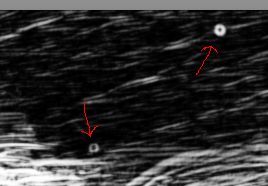 If I click on the “Visualize Spots” check box after clicking the Spot Removal Tool, the slider to the right of it comes alive and I can now more easily see spots. This is a technique used in Photoshop for a while and it works best where edge contrast can be spotted, so in areas without a lot going on. In this image, I found three additional spots, two of which would have been easy to miss without the tool. This one is really small, but helpful. 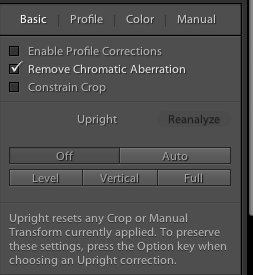 With the addition of the “Upright” feature to the Lens Correction panel, Adobe made it easier to get to the Chromatic Aberration removal check box. It’s a small thing, but I often use the check box for “Enable Profile Corrections” for my lens and then want to remove chromatic aberration on only select images, but many. The placement of the box here, as well as on the “Color” tab, helps. Maybe I’m doing something wrong, but I doubt it. This is one of Adobe’s touted JDI (Just Do It) features and it seems to work well on the demos, but not in real life. If it did, it would be cool. I can get the feature to work part of the time, but no where near even 25% of the time reliably. The feature is supposed to level a scene and make diverging or converging vertical lines straight. It can be helpful when it works. But something as simple as a horizon, an obvious one, in this example is not being leveled. 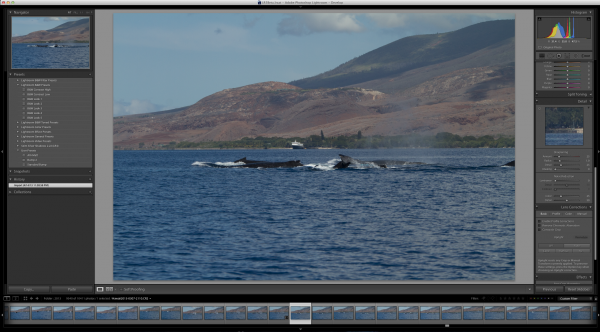 Here’s the initial image out of the camera. Now to show that the horizon is not level using the Crop Overlay. And now using the tool in Auto mode. I tried in Level and Full modes to no avail. The program clearly states “No Upright Correction Found”. This is supposed to be a boon for landscape photographers, but even with a clear horizon like this, it failed. I tried another obvious shot from Bhutan. Now how can it say, in all four modes (Auto, Level, Vertical and Full) that no data can be found? I’m not saying it doesn’t work, I’m saying it’s wonky and not yet reliable. But this is beta software and that is why they put it out, to find the kinks that mean the most for their users. 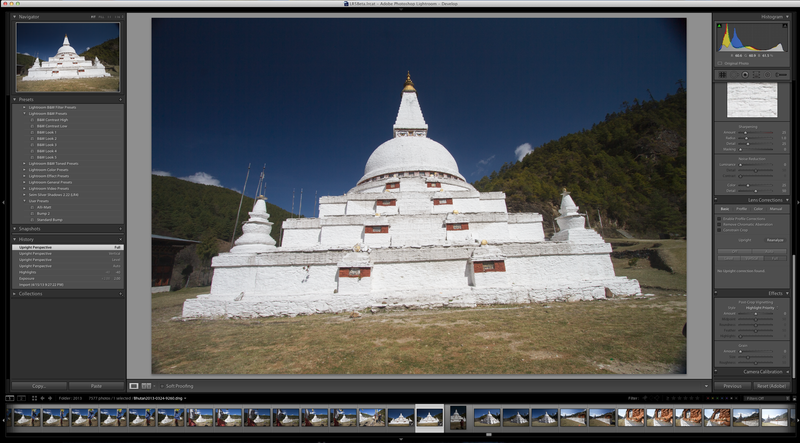 Give it a try, Lightroom 5 Beta is quite useful with all the upgrades instituted. Portrait photography, IMHO, is up there in degrees of difficulty with wildlife and sports/action photography … but at least, when faced with a tiger or a pole vaulter, you don’t have to face a possibly irate subject when you’ve finished the shot. Hopefully! With portrait photography you not only have to face the sitter during and after the session but you also have to deal with that particular person if they’re also the client! The book’s author Mark Cleghorn has been a pro photographer for over 30 years, specialising in ‘creative’ wedding and portrait photography. He is a member of a number of pro associations and has won a number of awards for his work as well as running many training workshops and seminars. You might also add the stricture — KISS! His own personal motto is ‘Natural light before reflector, reflector before flash, and flash as a last resort.’ He also suggests you should understand how to use and manipulate natural ambient light before you complicate things with technology …. Got me! So much equipment, so little money. First up, choosing a camera and lenses. The advice is that while a bulky, expensive medium format camera gives a better quality of image and delivers huge file sizes that are perfect for advertising, they are overkill for a simple portrait. The DSLR is a preferable choice due to its comparatively reasonable cost, moderate size, along with access to a wide range of lenses and access to complete camera control. This is followed by a rundown of the three types of flash available: accessory, shoe-mounted; power pack kits; monolights. Considerable detail is given on how to modify their flash output, the use of gels, metering, softboxes, reflectors, snoots and spotlights, diffusion, etc. His advice on how to photograph children is golden: keep things simple, allow the expressions to tell the story, work on the same level and, with very young children, encourage them to move around the studio, make it seem like a game. And how to cope with problems like a subject’s bald head, spectacles, double chins, squinting and those who are obviously overweight, disabled subjects, those with ‘sleepy eyes’, big ears or noses and (with couples) differing heights. The advice is magic! Moving on to lighting, there’s detailed discussion on how to place lights, control fill, hair and backlights and control their output. Low, mid and high key lighting is covered in considerable detail, with excellent examples shown. Some off the wall techniques are demonstrated, like the projection of another image onto the subject, introducing a surreal effect. The use of a single light source and softlight are discussed as well as the role of the cross processing effect achievable in Photoshop. Quite a few pages are given over to the searching for and use of suitable locations, natural exteriors and shooting in the home. I often wonder, having read such a useful book, as to the sanity of such a high end and obviously successful photographer in this field in giving away such seriously useful hints, tips and advice. This is the ‘go to’ book on the subject! ISBN 978 1 4547 0243 6. 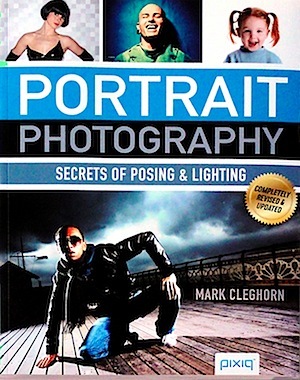 Price: get a price on Portrait Photography: Secrets of Posing & Lighting at Amazon (currently 36% off).